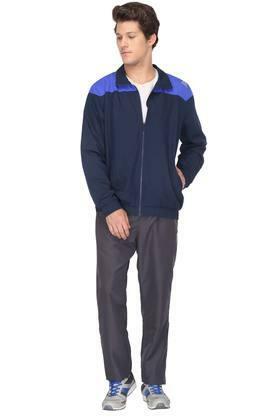 Head up for a workout session with this jacket from Reebok is a perfect pick for you. It comes with a solid pattern along with zip through neck gives an attractive look. 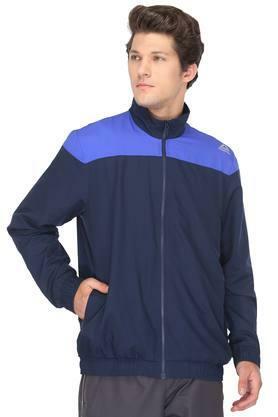 Crafted from good quality fabric and full sleeves will keep you comfortable throughout the day. 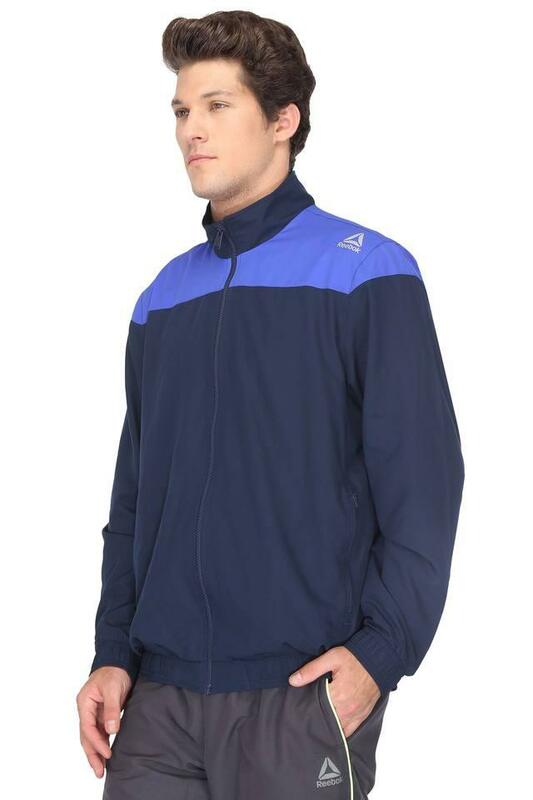 Add this jacket to your sportswear collection to give it a fine upgrade. 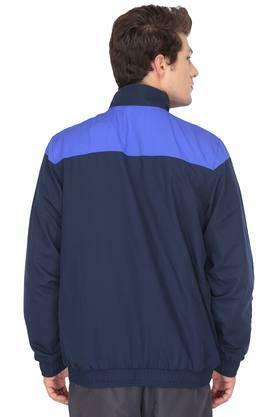 It will look good with a pair of track pants and sports shoes.